Parsley may possibly be considered the world’s most popular herb and, as you can imagine, has quite a long history. From the Apiaceae family, parsley is native to the central Mediterranean region, but it is also widely cultivated around the globe. The parsley plant is a relative to celery, and its name is actually derived from the Ancient Greek word petrosélinon which means "rock celery." The vitamin content in parsley alone is definitely worth taking note of. For instance, Parsley has twice the amount of iron as spinach and has three times the vitamin C of an orange. Parsley also contains 574% of the daily recommended value of vitamin K, which is associated with promoting bone health since it helps to improve calcium absorption and reduce urinary excretion of calcium. In addition, since it may limit neuronal damage in the brain, researchers are exploring the role vitamin K may play in the treatment and possible prevention of Alzheimer's disease. Parsley also helps restore digestion, supports the liver, kidneys, spleen, and adrenal glands; purifies blood and body fluids, helps the body's defense mechanisms, and chokes negative microorganisms. When detoxing, studies have shown that parsley root is liver protective and helps modulate blood sugar levels. You may not be surprised to see it as an ingredient in Jon Barron’s Liver Flush Tea. It is also great for immune system support. An important diuretic, parsley root also helps aid in the removal of uric acid from the urinary tract and helps dissolve and expel gallstones and gravel -- and helps put a stop to their future formation. The German Commission E, an advisory panel on herbal medicines, has even approved parsley for use in the prevention and treatment of kidney stones. These are a few of the reasons you’ll find it as an ingredient in Jon Barron’s KGP Flush formula, a natural formula that helps relieve the symptoms of kidney stones and gallstones. If you’re an allergy sufferer, it’s good to note that parsely also inhibits the secretion of histamine and is therefore useful in addressing hives and reducing other allergy symptoms. Parsley may also play a role in fighting or preventing cancer. This herb is among the foods that contains the highest concentration of the flavonol myricetin, which has been shown to have chemopreventive effects on skin cancer. In addition, parsley contains another natural chemical, apigenin, that in a recent study was found to decrease tumors in an aggressive form of human breast cancer. 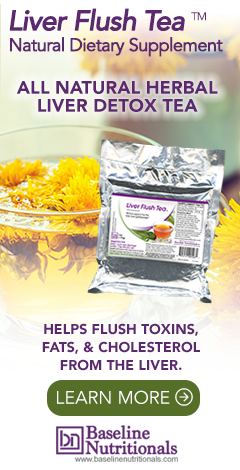 A decoction of parsley root can help with bloating and induce natural weight loss by eliminating excess water gain. Parsley can also be used to aid in weight loss as a replacement flavoring for ingredients such as salt or sugar. And finally, parsley has been used as an expectorant and therapy for bronchial cough, as well as addressing bone and joint complaints. Parsley can be used in a variety of ways; fresh is preferred for its superior flavor, and can even be grown in your garden. It’s been used in rubs, salads, soups, sauces, and even in juicing. Learn more on how Jon Barron uses this ingredient in his kidney detox. Simply wish to say your article is as astonishing. The clearness in your post is just great and i could assume you're an expert on this subject. Fine with your permission allow me to grab your RSS feed to keep updated with forthcoming post. Thanks a million and please keep up the gratifying work. How much parsley contains 574% of daily Vitamin K? I second the motion... how much parsley contains the 570% ? Besides when you say "daily" does it refer to the USDA recommended daily or the REAL daily? I certainly appreciate this type of well intended and informative article but.. there is always a but to consider... too many just inform qualitatively and do not give quantitative guidelines which reduces their practicality... Even putting suggested or estimated amounts would make the article tremendously more useful. That would be one ounce. The RDI for vitamin K is 80-120 µg. So, using the conservative number, parsley provides 1640 µg, or 1366% of recommended daily intake, per hundred grams of parsley. One hundred grams equals about 3.5 ounces. So a one ounce serving of parsley provides about 454%.